It took a long time coming, but the kitchen renovation is finished!! I can't tell you how excited we are to finally sit back and take a look around the room that we created. Nothing beats the feeling of entering a space, and just using it... opening the door to a well-stocked fridge, pouring yourself a glass of milk, storing the pots and pans away, rinsing the dishes... all mundane little things you don't realize you miss until you haven't done them for a very long time. And boy, did we miss this room. Wow. It looks absolutely incredible. I have been eagerly anticipating this big "reveal" for months. Straight out of the pages of a magazine... Way to be! I can't wait to see the next makeover in your home. That is one gorgeous kitchen. You guys made good design decisions all down the line. I totally agree in your moving the dishwasher so it couldn't be seen from the dining room - sightlines are so important. So how long did it take from first movement of crowbar to this grand reveal? The backsplash is to die for and the little cupcake vignette is too cute. Painting a chalkboard wall is one of the last things we have to do as well. Thanks katherine! Hope it was worth the wait :) We'll try and get the next makeover done a little quicker next time, lol. I decided to comment here instead of on WB: Hooray for the reveal, I too have been eagerly awaiting it. I think your choice of hardware was perfect, and the light over the sink really goes well with the glass on the upper cabinets on either side of the sink. I really like that you included a picture of the view from the dining room so we could see how it all comes together. Can I ask what other lighting you have in there? 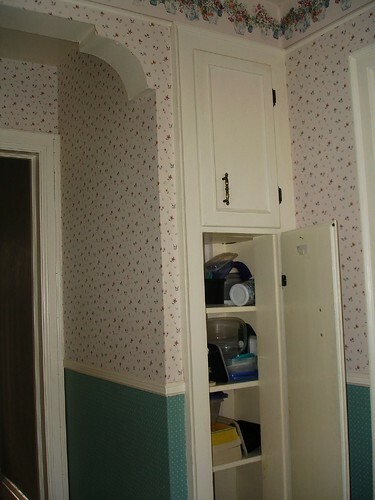 I think I can spot the under-cabinet lights. And then besides the pendant over the sink, is the rest all potlights? Congrats on your kitchen, I really admire you two, both your taste and your DIY skills! Congratualations! The renovation is beautiful. I know it was a labor of love. I love your details in the yellow tea pot and cupcake stand. Thanks Donna! The view from the dining room is my favourite...the wallpaper really frames the room and we choose a simple shaker cabinet so it would tie in with the shaker wainscotting in the dining room. For the lighting, we have xenon undercabinet lights (LOVE them), the pendant, and 4 potlights down the length of the room. We centred the potlights between the base cabinets, as opposed to putting them centred in the room. That was a lucky decision, because it lights the "working" path...if it was centred on the room, it would fall right above your head when you're working at the stove but would make the sink side of the room seem more in darkness. Thanks megan. I tried to find a yellow jadite cake stand but couldn't, lol. 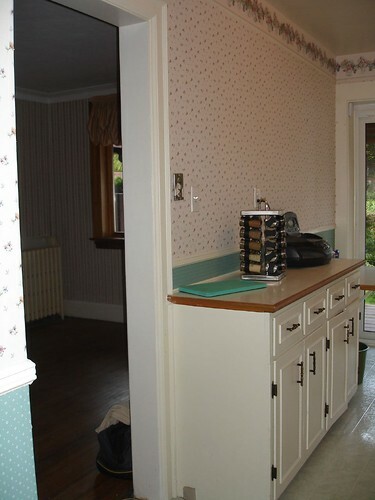 I looked at all of the pictures on flickr and it made me long for and dread our kitchen reno all at the same time! It looks amazing - you must be so pleased and proud! Seriously. Blown away! It looks amazing. I can barely drag myself from the cabinet handles and pulls, let alone feast my eyes on the bounty of beauties! 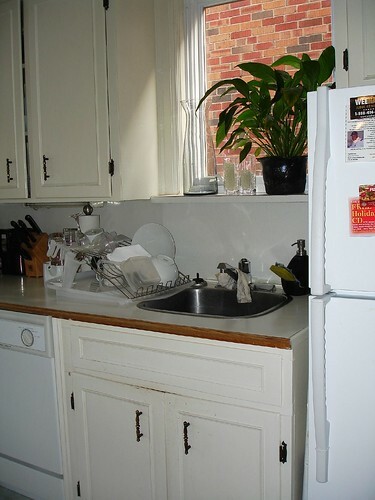 Oh the good dishes that will originate from that kitchen! Wow. That is just gorgeous. Hard to believe it's the same space! I love the odd little splashes of yellow and think that the green cake stand is actually a happy misfortune as it breaks up the colour scheme a bit. Great job! So gorgeous, down to every detail. You've given me faith that I can actually make it through my own DIY kitchen renovation in something under a year. Cheers! jennifer - yeah, unfortunately you need to go through the nastiness to get to the good stuff. Hopefully you don't find any mousehouses like we did! mrs.leah.maria - I only wish my cooking skills matched my reno skills, lol. raven - I think you're right! The green does add a nice touch. butimeanwell - thanks! I'm sure you can finish your reno much much quicker than we did ours, lol. Oh, congratulations! I confess to a pang of envy--we've been in the 'during' stage for so long. I love your closely edited selection of of finishes--the consistent style really looks great. And you're right about that framed view from the dining room. It's really lovely. Happy cooking! Congratulations! You finished! I can't even imagine taking on a project this big. I'm so impressed. And it looks so great. I love the yellow you used in there. It's cheery. Oh my! It's just gorgeous. It's time for the magazines to be calling you for a photo shoot. It looks SO beautiful! The little details that you spent so much time choosing make a huge impact. Great job!! Thanks s&n! I was worried about some of the finishes, like how the backsplash would look against the granite. You never quite know until the very end! jbhat - you never know where my pics will pop up, lol. katie - thanks so much! Glad you like it. It's absolutely beautiful!! I love seeing other people's renovations! Great job! I LOVE LOVE LOVE your kitchen re-model! That tile is to die for. The faucet is perfection, and the glass-fronted cabinets are the perfect choice. Did you use Kashmir White for your countertops, or are they something different? We love your kitchen. It's beautiful! What colour granite did you use? And do you have a granite place in Toronto that you would recommend? Jen and Dave - our granite is Kashmir White. We bought the granite from Marble Trend in Concord and it was installed by Avanti Marble, also in Concord. 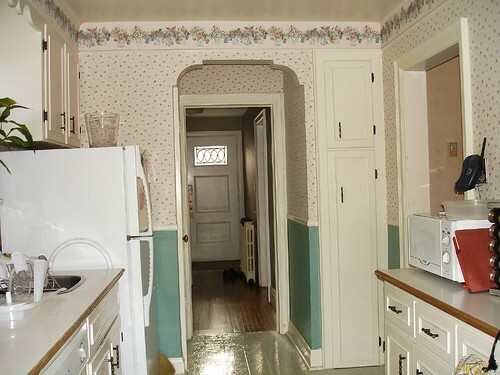 Your kitchen is SO LOVELY!!!!! Where did you find your amazing cabinet hardware???? Its exactly what Ive been searching for... such an inspiration! Thanks Shannon! I got the hardware on ebay (sorry, don't remember the sellers name). Its the Studio Line by Hickory Hardware. Home Depot does carry some Hickory pieces, so you might be able to order through them. I'm glad I found my way to here. I love your kitchen! 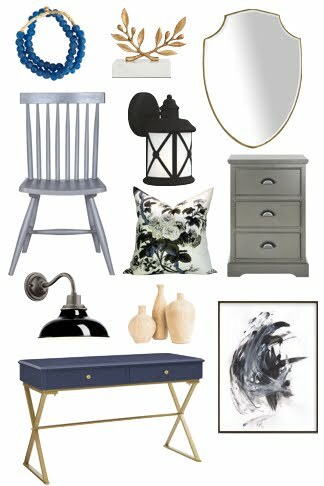 I had to laugh because you chose the pendant light similar to the one that my husband liked the best out of a group I emailed to him, then decided it looked too modern for me. It looks just right in your kitchen, and does not look modern there. Maybe I'll reconsider. I wish we were able to do that kind of work. I LOVE your kitchen! I am in the process of renovating mine and love your floor and backsplash. Do you mind sharing details on where you got the tile and who is the manufacturer? Any help is greatly appreciated! I am STUCK and looking for options! Your kitchen looks great! Thanks so much for the all of the info and inspiration! HUGE difference. I love white kitchens! Beautiful kitchen! I'm kind of in love with the pendant light over your sink. Would you mind sharing your source? Thanks! Lisa - I bought the light at Royal Lighting in Toronto. Sorry, I don't have the model #. Can you tell me what the backsplash is? Love it. I absolutely love this kitchen. I stumbled upon this site when I was researching white cabinets. I too-hated that stippled thermofoil texture that most manufacturers insisted on having. In the end I didn't choose the Lowe's kitchen-kraft. I found a kitchen dealer in my area that could do BenMoore's "cloud white" spray painted and clear laquered mdf cabinets in a shaker style with a bit of molding inset (kind of like your panelling in your new master bedroom). I LOVE the kashmir white counters. I would have liked to have carrara in my kitchen - as all the designers love. Alas, we live in the real world of grape juice and tomato sauce. Your counters are stunning! Thanks again for posting "the process" and not just the finished product. It has made my search a bit easier. I did a google search on Aya Kitchens and your blog popped up. Love yout Blog! 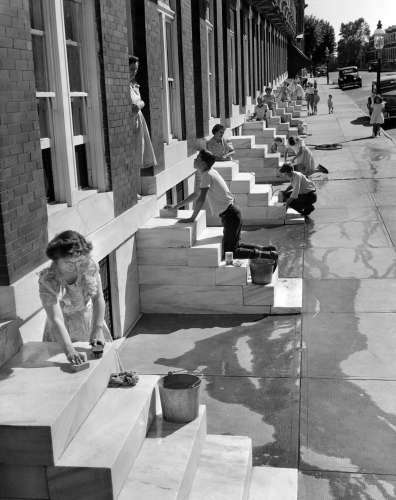 Good on ya for keeping to renovate with kidlets. You guys rock. We are consdering getting a painted Aya Kitchen in white. Very similiar to your kitchen style. I was wondering though, since you've had your kitchen for a little while, are you still happy with it? Are the cabinets in good shape still? Have you experienced any chipping? Would you recommend going with them again? I'd really love to hear from you and totally appreciate your time. I just came across your blog and love your renovations!! I love the tile backsplash in your kitchen. I looked through the comments to see if they were mentioned but didn't see anything. So were in the world did you get the gorgous backspash?? Kristie - Thanks! The backsplash tiles are Venus Marble Mosaic Tiles in Milky Way from Olympia Tile. 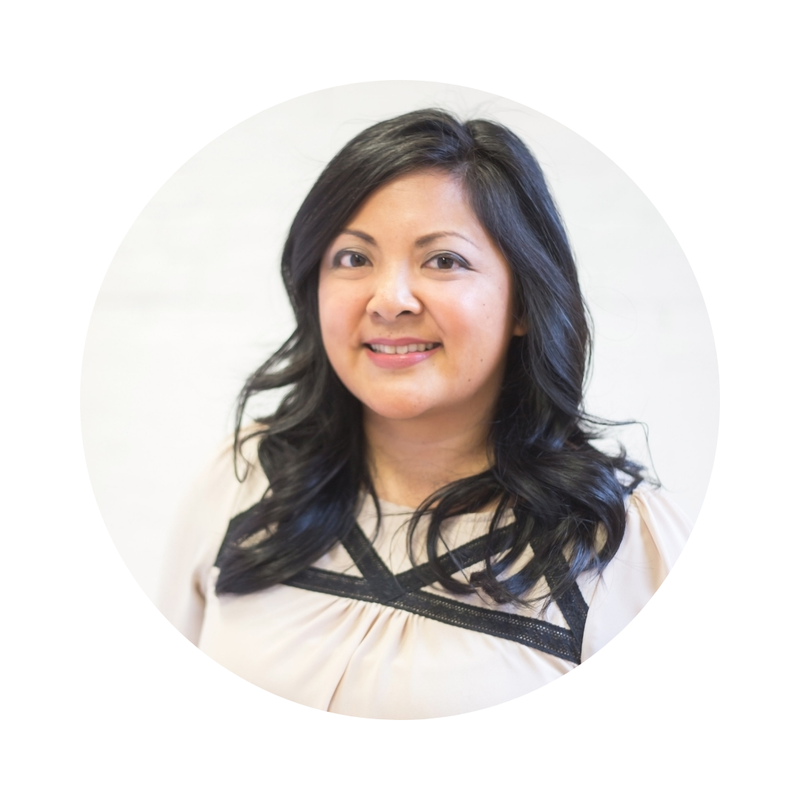 Gabriella - sorry, just saw your comment now! I am still very happy with the Aya cabinets. There has been no chipping and the finish is easy to wipe and keep clean. The only small issue is that some of the doors pop out of their hinges. The hardware isn't defective; the screws loosen for some reason and we just have to pop the door back in and tighten them up. I would definitely still recommend the Aya cabinets. This truly looks great and makes me jittery to renovate my own dark kitchen. Love your kitchen reno! We are starting ours on Monday and I am so excited and so so nervous. 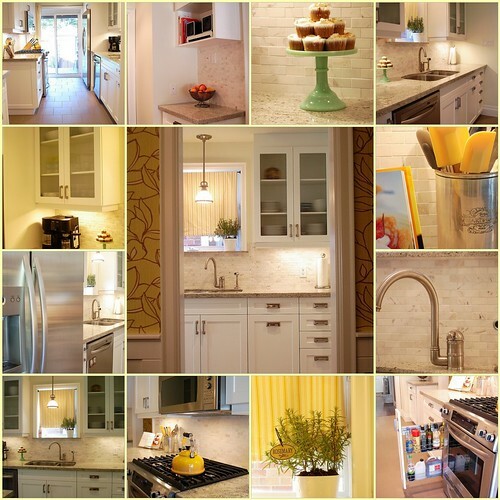 Beautiful - I linked it to my "kitchen remodels done white" post too! I have a serious crush on your utensil crock. Please share where you found it!